I know, you’re probably thinking, “Oh no, he’s not doing list posts now is he?” Well, yeah, not too often, but I think you’ll see it just makes sense for this purpose. 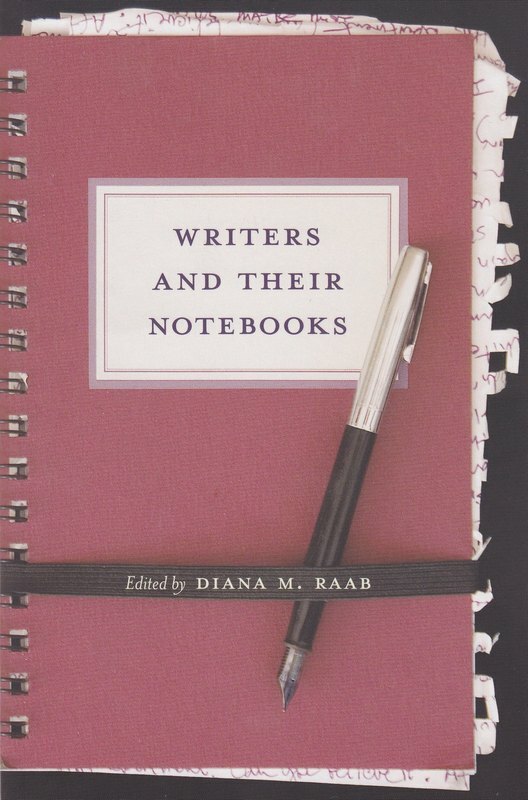 I recently finished an excellent book, Writers And Their Notebooks, which, as the title says, is a collection of essays by various writers on how they use their notebooks. I found it fascinating how people use their notebooks in drastically different ways. 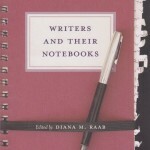 Some call their notebooks ‘journals’ and call their daily writings ‘diaries’. I’ve written my opinion about this before and strongly believe it doesn’t matter a whit what you call your book of jottings. I personally call my in-depth entries a ‘journal’ and my random jottings a ‘notebook’ and I keep a simple daily log of events I call a ‘daybook’. But truly, it doesn’t matter what you call yours. Sue Grafton, the mystery writer of the alphabetical series, says in Writers And Their Notebooks she uses her “journal” to write her book ideas in and I found this little tidbit very interesting: Grafton’s journals (notes on her books) end up four times longer than the completed book! That’s some serious writing. This is truly one of the better books I’ve read in some time about how notebooks and journals are actually used. In fact, it inspired me to think about and write this post. What’s in your notebook? Not your journal/diary/whatever you want to call your keeper of personal thoughts, but your notebook (or whatever you choose to call it) that collects your thoughts, ideas, random writing? I’m not going to ask and not share how I use my own notebook. Here Are 21 Ways I Use My Notebook…..
1. To-do lists. Many of them. Many with the same unfinished things on each one. Months apart! 2. I have four pages of random remembrances from childhood. My thinking is if I don’t write them down as I think of them they will one day be gone – forever. 3. Random book titles and authors I hear about. I’ll later look up reviews or take a look at the Amazon page. I’m a big reader, so looking through my notebook for this post, I realized it makes up a larger chunk of my notebook than I realized. 4. Song titles. Despite spending 25 years+ in broadcasting, I’m not that great with matching artists and song titles. If I hear a song on the radio and I would like to have it in my music collection, I’ll write down the songs and artist for later purchase at (usually) Amazon’s mp3 store. If I don’t hear the title, and don’t know it, I’ll write down a line of the lyrics and use it later in a Lyric Search. 5. Website URLs. I’ll hear something on the radio and think, “I’ll have to check that out.” I’ll almost always think that I’ll remember the site name, but realized I rarely do, so they started going into the notebook. 6. Ideas for future writing. There is a lot of this. I’ll kick out several pages of writing that is meant for a future writing project. It’s a natural place to keep this material. 7. Something from a magazine I find interesting. I’ll cut something out and tape it in the notebook instead of having to copy it all down. I kept this small paragraph long review for a cool “2-second pop-up tent.” When I finally went to purchase the tent, I discovered it had been recalled as a fire hazard. I wrote that down beside the magazine snippet. 8. Magazine subscriptions. I confess to liking my magazines and reading them in their paper form. I even wrote about this once. It really drove me crazy though not knowing when my subscriptions expired. The magazine publishers themselves start sending renewal notices after your 2nd issue, it’s ridiculous. So, I made my own (long) list, simply the name of the magazine and the last issue as noted on the magazine label. 10. Lists of things to buy at the store. Sometimes there are lists that are store-specific, like “Next Time I’m At Best Buy.” Mostly, routine lists of stuff I need sooner rather than later. 11. Quotations. Ahh, my love. My notebook is full of quotations, aphorisms, etc. from books, conversations, newspapers, magazines. I collect these and they all eventually go into another couple of notebooks of nothing but these things. One of the great joys in my life is collecting these and going back to enjoy favorite thoughts from others. 12. Business ideas. I’ll write down ideas, sometimes in great depth, for some business idea. Most of these go nowhere after I’ve written the details down. Sometimes though – I’ll end up doing exactly what I wrote down as it came to me while driving down the Interstate. (I’ll wait for the next stop to actually write it down.) This seems to be a good time to mention the use of voice mail. Sometimes, I will use my cell phone to call my own voice-mail and quickly leave a reminder or idea to hash out later. I use YouMail and their voice-to-text service, having my voice note transcribed and waiting in my inbox when I get home is really nice. 13. Trip planning. There are so many things that go into planning a trip. Potential destinations. Airfare comparisons. Hotel rate deals. Car rentals. All of it, goes in my notebook. 15. Notes from someone on the other end of the phone. Example: I got a call from my doctor telling me the results of a blood test. I would be sent the results, but I wanted to know the levels on the things we were concerned about. I opened up my notebook and began writing. As you may have noticed by now, I write almost everything down. 16. Film Noir movies I haven’t yet seen. I’m a big fan of film-noir and own most of the classics. But the beauty of these 40’s and 50’s black and white films (many…no, most…are so-called ‘B’ films) is that there always seems to be another title I’ve never heard of. Many of these aren’t available on DVD so I’ll write them on my list and look out for them on Turner Classic Movies or watch for a DVD release. The major studios are always releasing collections of these gems. Things like “Film Noir Classics 8” or some such thing. This is an important one for me as I don’t want to die without having seen every film-noir film ever made. Notebook to the rescue – again. 17. Research. Lots and lots of this. I’m not one to capture information from the web and put it in some online organizer. It’s just never worked for me. So, surprise, it all goes into the notebook. 18. Thoughts that will go into my journal. Sometimes I’ll have my notebook with me, but not my long-entry daily journal. I’ll sometimes write a paragraph or two to remind me to write about this or that in more depth in my actual journal. I don’t do this often, but flipping through my notebook, I do it more often than I thought. 19. Traditional notes from a class, podcast, audiobook. Another example: I listened to Energy Addict: 100 Physical, Mental & Spiritual Ways To Energize Your Life and as I listened I jotted down notes that stood out to me. This little gem came from those notes: “Rituals help us create positive habits that will become our foundation in a crazy world.” Good stuff and it went in the notebook. 20. Horrible artwork. I can’t draw or sketch if my life depended on it. But sometimes I’ll make various graphs or sketch out an advertising design. It aint pretty, but I do it — in my notebook. 21. New numbers or data I’ll otherwise forget. One thing I hate about our lives today is the plethora of numbers, passwords, pins, etc. that must be remembered. (Yeah, right… I know I won’t actually ‘remember’ these things so I’ll write them down.) Sometimes I must disguise things when I put them in the notebook, as I am very careful with personal and identifying information, but I write a lot of these things down. Have to. That’s a pretty good summation of the various categories of information I keep in my notebook. In general, it’s a catch-all for anything and everything. It sounds so cliché but it really is an extension of my brain. I can’t stand things on 137 little pieces of paper scattered here, there and everywhere, so it goes into my notebook. Others do things very similar to what I do, they only do it online. As I mentioned above, I have tried that and it just doesn’t work for me. Too many steps are required to actually get it down. And, after all, I’m all about — Paper Notes In A Digital World. So, how do you use your notebook? Feel free to share your thoughts.